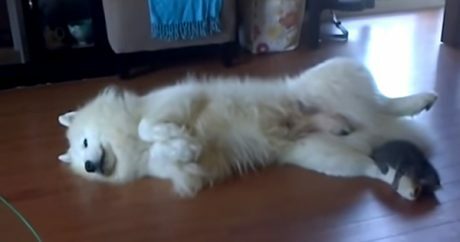 Video: Gavin, a kitten, plays with Vidor, who must be the world’s most patient Samoyed; watch as the gentle giant lets the pint-sized feline play with his paws and face. 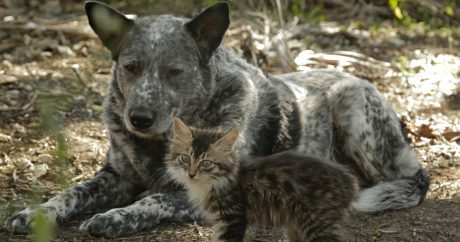 Video: May 3 is National Specially-abled Pets Day, and here’s more cuteness than humans can handle — Ralphee, a disabled kitten, and her best friend Max, a cattle dog. 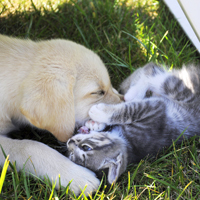 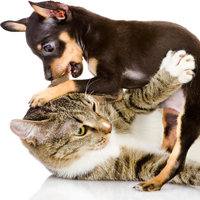 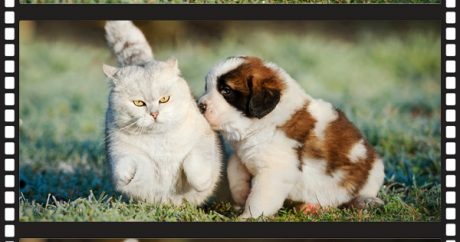 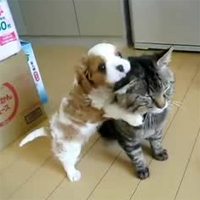 Video (warning — cuteness overload): A collection video clips that feature dogs trying to give affection to cats, but with mixed results; take a look. 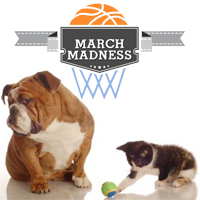 March Madness video contest: We have a winner!